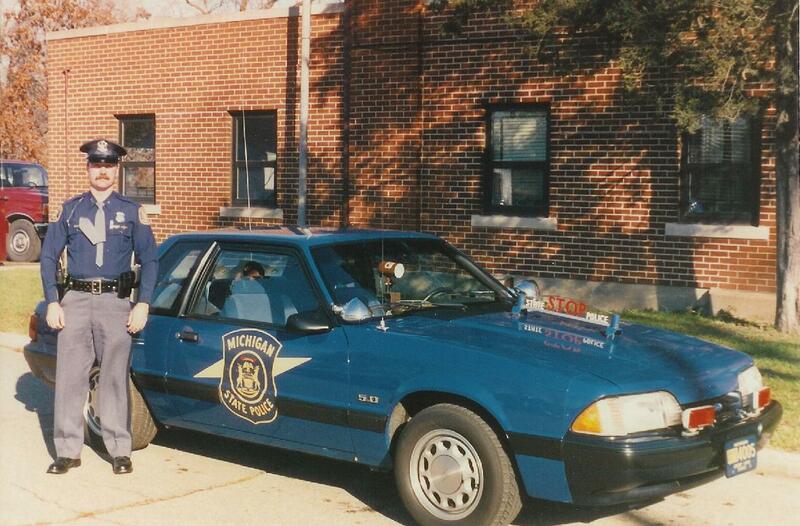 1989 Michigan State Patrol, unit #4005. 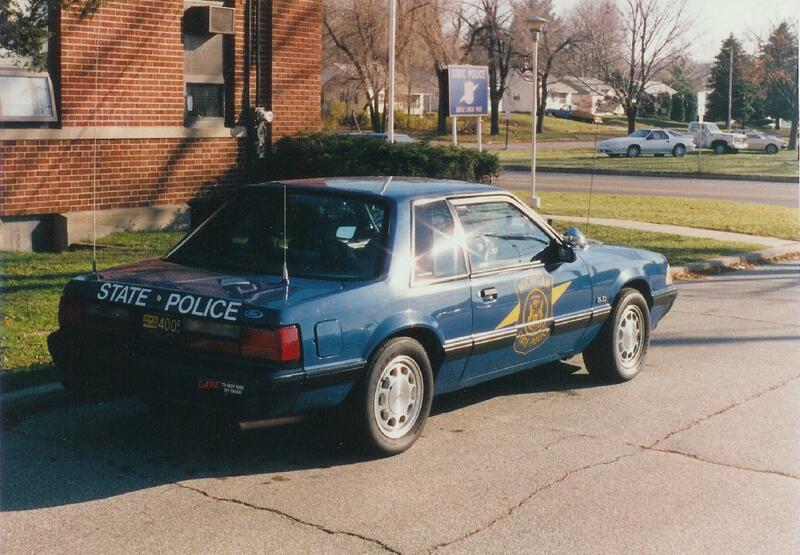 This was one of fourteen Mustangs that MI used in '89. 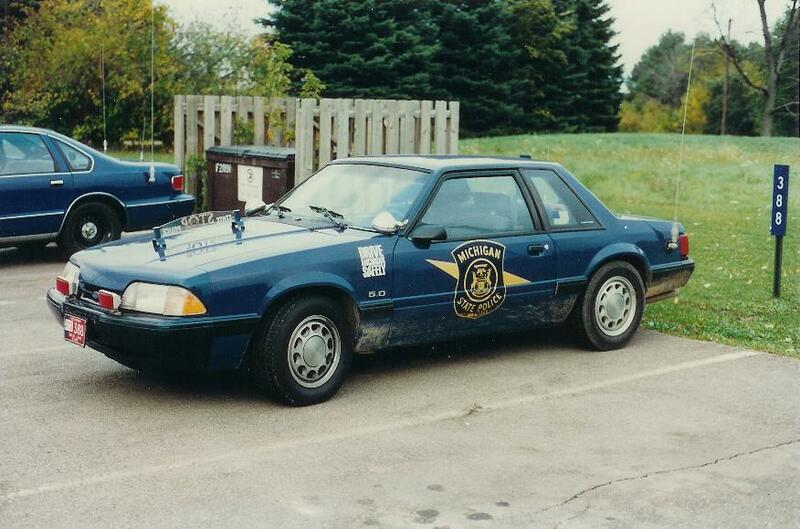 1992 Mustang, unit #388, in its assigned parking spot. 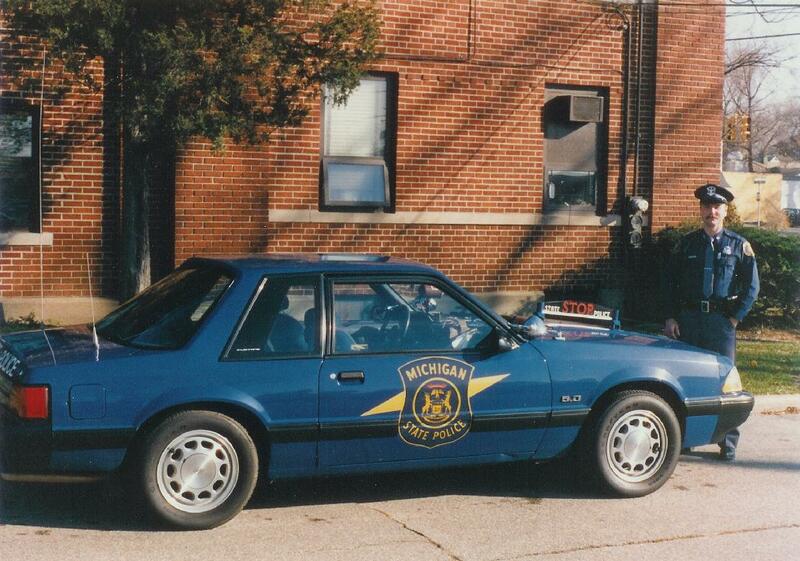 This car has the "Drive Michigan Safely" decals on the fenders. 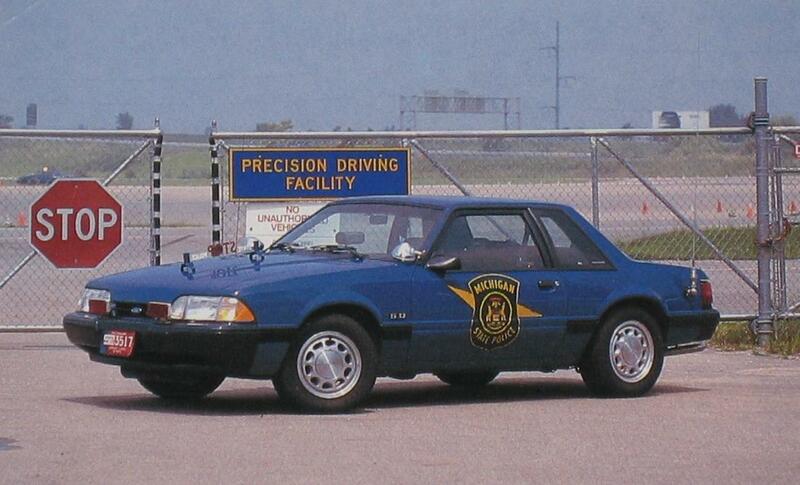 MSP ordered about 20 of the cars for 1992. One last '92, unit #201.